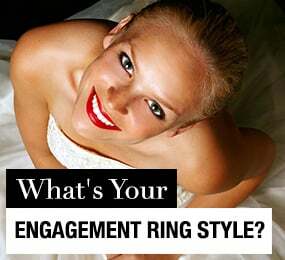 Halo engagement rings are one of the most popular styles in the market today. This stunning setting features a center stone, such as a diamond, with smaller diamonds outlining the circumference of the larger diamond to give the appearance of a halo. 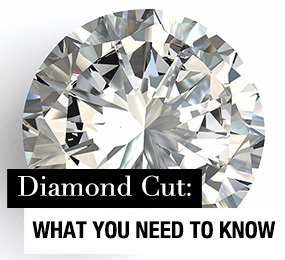 Many people opt for the round cut stone in the center of a halo setting but other cuts such as emerald cut and pear cut are also available and are just as beautiful. The halo setting is popularized by American celebrities. This is probably because the halo setting makes the center stone look much larger without adding much in weight. 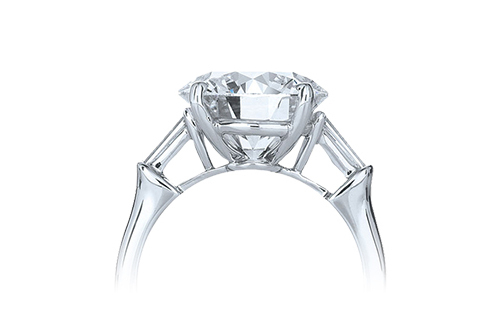 The halo setting engagement ring is a nod to the Art Deco era, first gaining popularity among royalty in the 1920s. 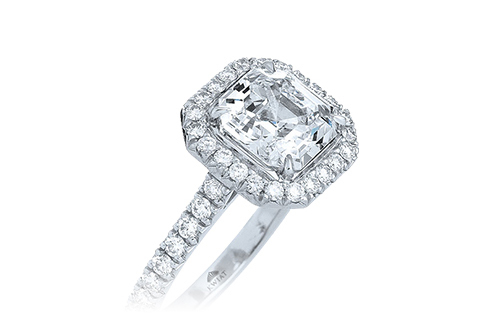 Since then, the halo setting style has evolved and has become more modern but it still remains vintage inspired. 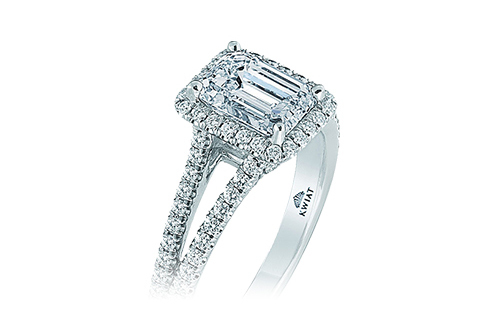 The solitaire engagement ring is a timeless and elegant style that serves as a beautiful symbol of your love. 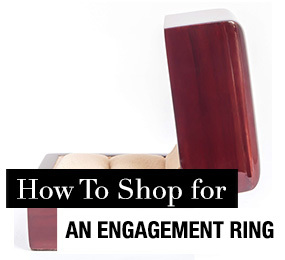 This setting is the most traditional option on the market. 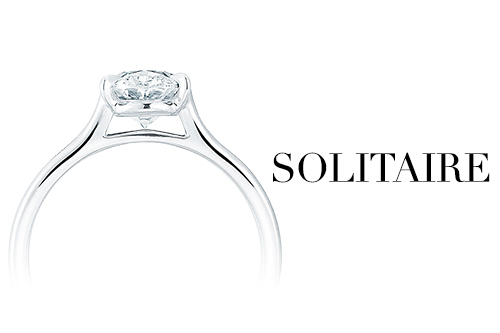 It may seem like one of the most simple settings, but the solitaire setting can be customized to reflect your unique style and creativity. 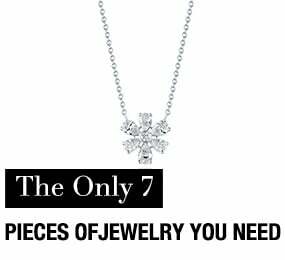 The solitaire setting gets its name from its style. 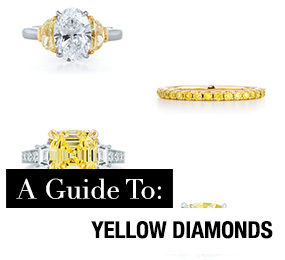 A solitaire gemstone, meaning a single gemstone, is set in the center of the band. 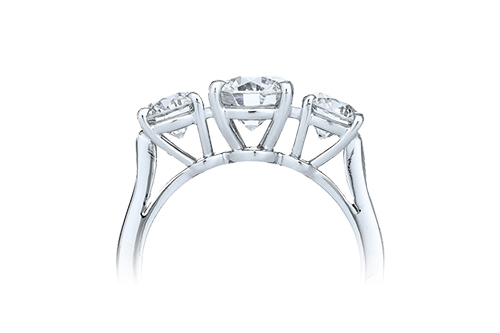 The solitaire engagement ring has no side-stones or embellishment stones of any kind on the band. 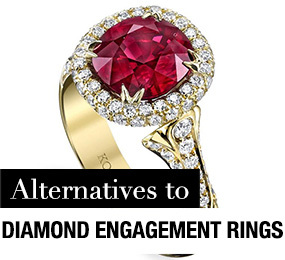 While this may seem like a rather simple or plain design, there are a number of ways to customize a solitaire engagement ring. 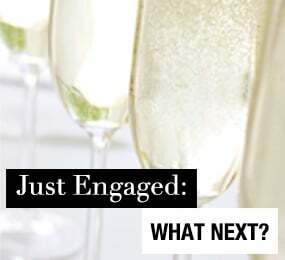 The pave (pronounced pah-vay) setting engagement ring incorporates a band that is completely covered in tiny diamonds. 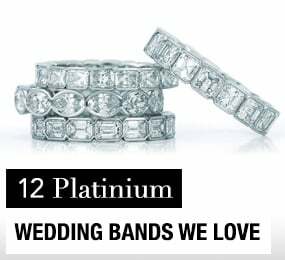 The small diamonds in a pave setting are not easily distinguished as individual stones; rather they give the entire band a brilliant sparkle as if it is made entirely of glitter. The pave setting offers a wide variety of styles and options and is sometimes paired with another stylish setting such as the three stone setting or the halo setting. 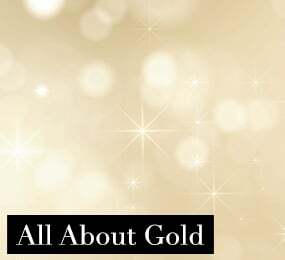 Three-stone engagement rings are sometimes referred to as trinity rings or trilogy rings and traditionally represent past, present, and future. Three-stone rings typically hold a different meaning than a single-stone engagement ring and are sometimes given as an anniversary gift. 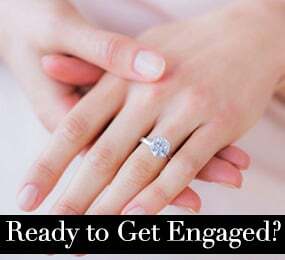 The past, present, future symbolism of a three-stone engagement ring reminds your bride that you will always be by her side, in sickness and in health. The side-stone setting is a general term for a range of settings that incorporate smaller additional diamonds or gemstones to either side of the feature stone. 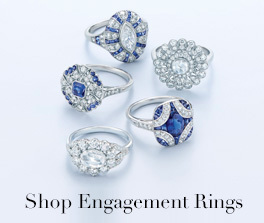 The side stone setting genre includes many setting types such as pave, channel, invisible, prong and others, and can feature intricate combinations and designs. Side stone settings work to elevate and enhance the beauty of the center stone or multi-stone setting by framing it with interest and drawing the eye inward. 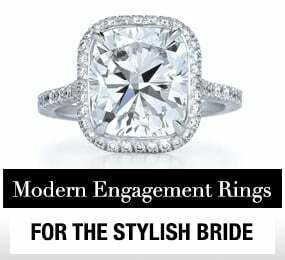 The variance of side stone offerings is due to a wide variety of styles and options that can be combined with primary settings such as the three-stone setting or the halo setting. 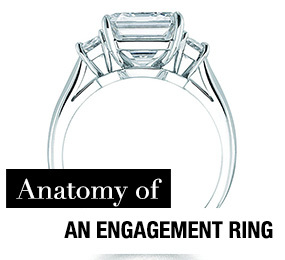 A split shank setting engagement ring refers to a band that is divided or split before it attaches the center setting, forming two or more separate arm sections. These sections generally have a visible gap between them, emphasizing the center setting and making the feature stone appear bigger. 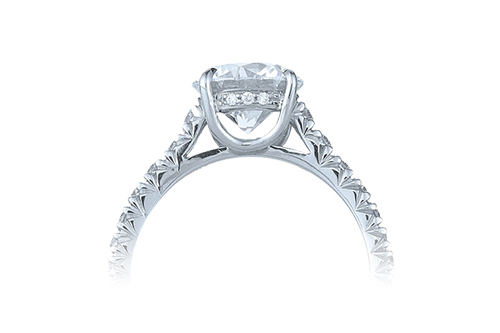 Split shank setting give a majestic grace and exceptional impact to the central setting. 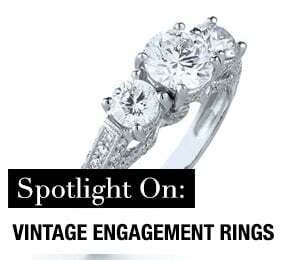 With a strong art Deco vibe in vintage settings, modern twists on split shank might twine, braid, or make asymmetrical designs in the branches of the split shank, while classic style split shank settings can ramp up the volume on the elegant solitaire. 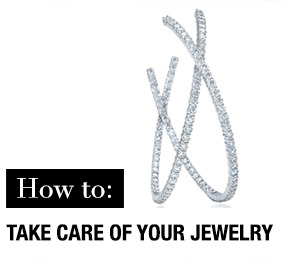 In any style, a split shank setting is as dynamic as it is beautiful. 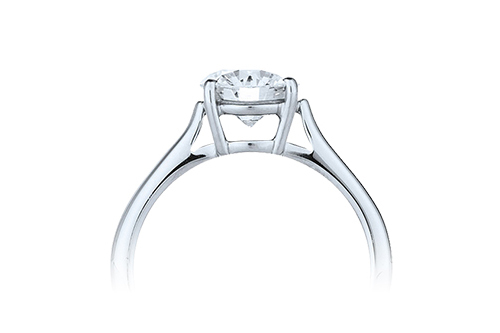 Prong setting engagement rings have the feature stone held above the band by small metal prongs (sometimes called claws). 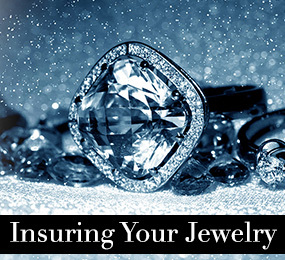 These prongs are arranged around the stone to hold it securely and the number, shape, and placement of prongs define the type of prong setting, such as four-prong, double claw, or v-prong. 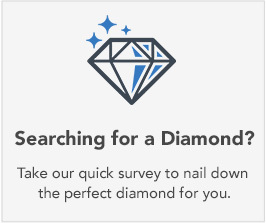 Prong settings are particularly popular for diamond engagement rings because they hold both diamonds and gemstones up for the light to penetrate through the top and sides and make the most of their brilliance.